We’d love your help. 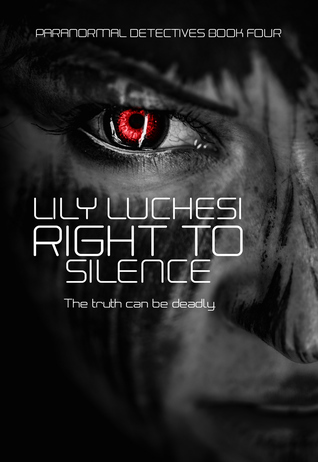 Let us know what’s wrong with this preview of Right To Silence by Lily Luchesi. In the second part, with Angelica Cross still on the run, multiple vampiric murders lead to the kidnapping of a famous vamp. Detectiv The truth can be deadly. To ask other readers questions about Right To Silence, please sign up. Nothing is better than a great read that weaves time, characters and action together without dropping a stitch! Lily Luchesi has done that and more with RIGHT TO SILENCE as we head into a two-part tale that is equal parts edgy and very dark. As Angelica struggles with her vampirism and Danny becomes isolated from her, we are invited to see the previous lives of hunters Brighton and Mark. While Brighton knows all, he protects his lover, Mark from knowing their pasts. Is he truly keeping Mark safe Nothing is better than a great read that weaves time, characters and action together without dropping a stitch! Lily Luchesi has done that and more with RIGHT TO SILENCE as we head into a two-part tale that is equal parts edgy and very dark. As Angelica struggles with her vampirism and Danny becomes isolated from her, we are invited to see the previous lives of hunters Brighton and Mark. While Brighton knows all, he protects his lover, Mark from knowing their pasts. Is he truly keeping Mark safe from heartbreak of knowledge or the dangers they face today? What else is Brighton hiding? Is sharing what he knows with Danny a good idea? With the spotlight in “part two” on Angelica is “missing,” and the death count is rising for vampires. Are these murders connected to Angelica? Is she on the hunt? Is she finally accepting that she is a part of the great prophecy? Has her time come to act? Will Danny’s actions cause him to lose the one woman he loves? Can Danny return to a “normal” life where the PID does not exist? Lily Luchesi is a strong and creative author who has managed to create several subplots, journey to the past and back and still keep her tale flowing along with all of the thrills of white water rafting! Often dark, even bloody, a cast of supernaturals make this tale almost breathe fire. Edgy world-building, wicked villains that don’t quit and a true test of love through darkness and light. Ride first class on this supernatural journey from Lily Luchesi. I received this copy from Lily Luchesi in exchange for my honest and voluntary review. I gotta say, this story started off with a bang! There are a rash of murders in the community and all clues lead to "monsters". Flashing between the past and present, this story is told in two parts and the readers are introduced to the hunters and the hunted. There are werewolves, vampires, Psis, etc. and some vampires are holding grudges that have lasted centuries. Even through a hunter's reincarnation, which is another story entirely. There's plenty of blood, gore, mystery and suspense to whe I gotta say, this story started off with a bang! There are a rash of murders in the community and all clues lead to "monsters". Flashing between the past and present, this story is told in two parts and the readers are introduced to the hunters and the hunted. There are werewolves, vampires, Psis, etc. and some vampires are holding grudges that have lasted centuries. Even through a hunter's reincarnation, which is another story entirely. There's plenty of blood, gore, mystery and suspense to whet most appetites. There's also love. Love so deep that it survives death. For me, it was hard to connect with this story. I'm unsure if it's because A) the time jumps, B) the number of plots going on simultaneously, or C) the fact that I hadn't read the previous books of the series. I'm leaning closer to option C. While it was entertaining, I found it difficult to sit back and enjoy it because many of the references made were lost on me. This story is dark and depraved. Macabre would probably be a better descriptor. However, the love that permeated the plot was undeniable. Series or Standalone: Book 4 of the Paranormal Detective Series. I suggest reading the previous books before venturing to read this one! This is by far my favorite read of them all!! The characters in this story were remarkable and still made me fall in love with them even more. I even loved learning about lifetime history of the love between Brighton Sands and Mark Evans and also the twisted Leander Price and how they all become part of the story. WOW. Although I knew that this story was coming to an end I did not expect what I read. Grittier, heart-wrenching, punching you right in the guts and having you wonder if you will ever be able to recover from this book. The author re-introduces us to two new characters that we were first introduced to in the previous book who take the lead in this story; Brighton and Mark. These two are absolutely delectable and watching their story unfold is breathtaking. Danny and Angelica's story continues an WOW. Although I knew that this story was coming to an end I did not expect what I read. Grittier, heart-wrenching, punching you right in the guts and having you wonder if you will ever be able to recover from this book. The author re-introduces us to two new characters that we were first introduced to in the previous book who take the lead in this story; Brighton and Mark. These two are absolutely delectable and watching their story unfold is breathtaking. Danny and Angelica's story continues and continues to rip our hearts out. Although her reasoning was sound for leaving, it still hurts to watch. Angelica is more darker this time around and even more intriguing is her part in this book. This is a roller-coaster of a book so hold on for dear life as you take on the twist and turns, and a couple more surprises! It's so hard to believe that we started reading the Paranormal Detective series during the summer of 2015! Taking a step back in order to put everything into perspective, it's truly astonishing how far Angelica's story has come, and it's even more painful knowing that it will soon end. Right to Silence is a killer installment, though, that packs the biggest punch yet, and to be perfectly honest, we're emotionally reeling right now. We can't even quite say when or rather if we'll get out heads back on straight! Luchesi made this book grittier and more heart-wrenching than any of her previous works, and we can't promise readers will ever truly recover! The first half of the book featured two rather new characters we had the pleasure of encountering for the first time in Life Sentence, both whom C and I immediately took a liking to: Brighton and Mark. There are no words to describe how ecstatic we were to see these two take center stage! There's something about them that makes them so darn lovable. Seeing their relationship unfold despite the fact that they didn't come into the series until later was a truly welcoming surprise as they inexplicably found a way to permanently worm their way into our hearts as if it was easy. How they met and fell in love in the nineteenth century only to be ripped apart and brought back together again in the twenty-first century squeezes our hearts with all the feels. (Forbidden romance and second chances certainly have their appeal!) Every kiss, every embrace, every laugh the two shared brought a smile to our lips and a warmth to the story. WE LOVE THEM SO MUCH!!!!!!! The way Mark completely accepts Brighton in all of his bluntness . . . the way Brighton buys Mark books even though Brighton doesn't approve of them . . . the way Mark inexplicably calms Brighton down and centers him . . . the way Brighton won't let anything happen to hurt Mark again . . . It's just too many feels to take for one person! The two are perfect in every way possible, especially when they're together. I mean they're so . . . they're just . . . they're . . . UGH! We don't have the words! They're possibly one of our favorite couples of all time now, okay?! And NO, there is no such thing as feeling too many feels! Mark and Brighton's story affected us more deeply than we can possibly express, which for a reader is high praise! Can we get some applause over here? We adore her! And that ending to Part One! Wh-?! AGONY! The feels and dare I say . . . sadness . . . are also inexpressible. I, B, have a confession to make. Not many books can make me tear up, with the exception of Pushing the Limits, but Mark and Brighton's story did. On. Multiple. Occasions. I don't like to cry! (But if anybody asks, it was allergies.) Those feels and emotions associated with that ending nearly toppled me, and I didn't know if I would ever get up again. I think a piece of my heart died at that point. Seriously. Part Two was difficult, too, as stability had not yet been reached. But we made it here for you all today. Danny is trying to live life post Angelica's leaving, and moving on after the love of your life left you for your safety is as difficult as you would imagine, that is to say: not easy. Poor guy. With Angelica, she's darker and more intriguing than ever. The ending of book three left you hanging with an ominous, yet to be explored prophecy hanging in the back of our minds most likely regarding her, and book four is here to explore this further. All of our main characters are stripped raw and vulnerable at one point or another, and we get to see who they truly are or who they might turn out to be. Setting the story in two parts was unique and highly enjoyable. You get to further examine both the past and the present, blending together a riveting plot line that leaves you immersed and highly captivated from page one. New characters enter the scene and gaps are filled in that were purposely left open from the previous novels. There are the twists and the turns and then more of the twists and the turns. Plus, there were some exciting references! Lily Luchesi included more Supernatural ones, plus Sherlock and Cirque du Freak ones, too!!!! Fandoms will surely be happy. Don't waste anymore time if you haven't started these books yet! You'll certainly regret it. Just grab the books, sit back, and enjoy the marvelous ride! This entire series was a great read. I'm looking forward to another book about Angelica as empress, especially needing to know if she'll embrace the dark side. I felt that Danny and Angelica had a unique love. Awesome read. I have a serious problem with several parts of this book. That’s not to say that I didn’t enjoy it. The author knows how to make every one of her readers feel death 1 million times over. The trip was undeniably unexpected. I’m frightened to see what will come next. I think that Lily Luchesi outdid herself with this book! The first half of the book reveals the past-life and present-life history of PID agents Brighton Sands and Mark Evans. The second half of the novel picks up where Luchesi left off in Life Sentence. We find out more about the ancient vampiric prophecy that Angelica is supposed to fulfill, and we find that Danny is struggling to pursue a normal life away from the PID. I thought that dividi I received a free ARC in exchange for an honest review. I thought that dividing the book into two parts was an interesting and bold choice for Luchesi. It builds suspense over what is happening in the present day with Angelica and Danny, and it brings secondary characters who have played crucial roles in the plot into the limelight. I was anxious to see what Angelica and Danny were up to, but I thoroughly enjoyed this diversion from the main plot. The second half of the book is nothing short of amazing! It is clear from the beginning of this half that Leander's assertion that Angelica is supposed to fulfill an ancient prophecy will lead to a battle of epic proportions. The action is more intense, the camaraderie between the protagonists becomes more apparent, and readers get a good grasp of the darkness that dwells within Angelica; leaving us to wonder if she will allow it to consume her. There is a reason for the darkness in Angelica's nature, and it has nothing to do with the fact that she is a vampire. Angelica goes through a lot in this book and it has taken its toll on her psyche. I liked that Luchesi did not whitewash the fact that Angelica's humanity was the catalyst for bringing out her dark side; it was raw, realistic, and it resonated with me. I have enjoyed all of the Paranormal Detectives books thus far, but this one is my favorite. Luchesi got real here, and it shows. The dialogue is grittier, the action and gore are more ferocious, and the plot is more intense. Again Lily rocks it by having a seamless transition between books. We pretty much pick up where we left off in Life Sentence. Angelica has left the area and has had no contact at all with Danny. He is not sure if she's alive, well or what. Things start to get interesting when an author suddenly disappears and PID is getting ready to step in and assist. A fan of the author comes to PID to get their help to find the author, who writes paranormal stories. Looks like a trip to Hell is in order!! We ge Again Lily rocks it by having a seamless transition between books. We pretty much pick up where we left off in Life Sentence. Angelica has left the area and has had no contact at all with Danny. He is not sure if she's alive, well or what. We get to see how the rest of the characters are doing, Mark, Brighton, Bart, Leander and a few others. Again the team does wonders in trying to save the local area from vampires who aren't playing by the rules, however there is a twist - of course there is! Angelica finds out that someone is telling the vampires that she is coming back to aid the vampires in taking over. So much action, lots of gore and a bit of torture - they aren't very nice in Hell. This was the best one of the series, yet! There are so many twists and turns, and you'll probably not even see them coming. I read this one all in one "sitting", as I just couldn't put it down. The genius that is Luchesi strikes again! *I received a complimentary ARC in order to read and provide an honest review. This in no way affected my review. She's just a GOOD writer! This book is broken into two parts. Danny is not the only reincarnated person as part of their team. Brighton Sands and Marc Evans were both hunters in the 1800s. Brighton Sands was formerly Coroner Benjamin Quinn and Marc Evans was Docor Michael Finnigan. Part 1 of this book explains the back story both past and present of how Brighton and Marc came to be part of the PID. I do not want to go into any more detail and give anything away. Part 2 of this book focuses on Angelica. Angelica is current This book is broken into two parts. Danny is not the only reincarnated person as part of their team. Brighton Sands and Marc Evans were both hunters in the 1800s. Brighton Sands was formerly Coroner Benjamin Quinn and Marc Evans was Docor Michael Finnigan. Part 2 of this book focuses on Angelica. Angelica is currently missing and nobody knows where she is. Althought Danny is devistated, he is not giving up hope that he will find her during this life. When Vampires start turning up dead in Hollywood, the PID must step in. Danny has seen visions of a young woman being taken and tortured, and never almost a year later, a woman has gone missing and they believe it to be the woman from Danny's vision. In order to find this woman, a trip to Hell is in order. It is not going to be easy, and it could cause a lot more problems than they ever anticipated, but it has to be done. All to soon, it is going to be Hell on Earth. This book is extremely well written, smooth flowing and easy to read. The author does an amazing job portraying the characters, their emotions and the experiences they go through. The books do need to be read in order, and if you have not read books 1-3, you need to read them first. This fourth book in The Paranormal Detectives Series takes us on 2 part journey: Part 1delvels into the past beginning in 1802, which explores Doctor Michael Finnigan and Coroner Benjamin Quinn’s first life as hunters of paranormal creatures that go bump in the night and brings the reader up to their lives in 2016. Part 2 brings us back into Ms. Angela Cross’ continued life on the move in 2016 and the dangers she faces. The plot pace was elegant and sinuous; the characters were authentic and yet at the same time mysterious – Why does Danny bring a mortal into the bowels Hell? What role does Leander Price play in Angela Cross’ life? Will Angela and Danny ever get a “Happily Ever After” ending? I must admit, I was very surprised by the plot twists and turns, Ms. Luchesi had me on the edge of my seat this entire book! I was not in need of caffeine to keep me awake while devouring this outstanding, riveting, thrill-ride of a tale. 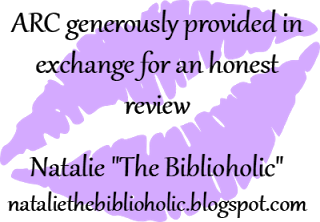 Alas, Beautiful Bookworm – I’ll never tell, I do not post spoilers in my reviews. I give this book 5 Stars and highly recommend you purchase this, Wonderful Reader for your own personal library. Lily Luchesi outdid herself on this one! The two parter was by far the heaviest...in all respects. Talk about an emotional rollercoaster! This book is a gamut of inchoate emotions...confusion, anger, lust, love, joy, redemption...not to mention the mixed bag of emotions that comes along with sacrifice. You find yourself questioning the decisions of several characters, and some of them made me think, "Hey wait, you are supposed to be the HERO!" and then, the thought that follows that one is "I may Lily Luchesi outdid herself on this one! The two parter was by far the heaviest...in all respects. Talk about an emotional rollercoaster! This book is a gamut of inchoate emotions...confusion, anger, lust, love, joy, redemption...not to mention the mixed bag of emotions that comes along with sacrifice. You find yourself questioning the decisions of several characters, and some of them made me think, "Hey wait, you are supposed to be the HERO!" and then, the thought that follows that one is "I may not agree wholeheartedly with the actions you took, but if you hadn't made that call, how fucked up would the situation be?" The things I love about Luchesi's books is that she eschews all Hollywood endings, and if you get the joyous scenes, they come at a steep price. While that is refreshing, I sometimes still find myself screaming, "Come on, Lily...Hollywood it just this ONCE!" and Lily, through her writing, sweetly whispers, "Nope." 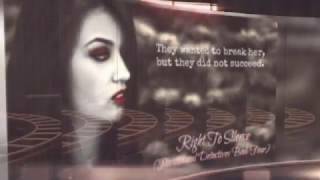 Right to Silence is the fourth mind bending enthralling story in the Paranormal Detectives Series. Though this series is centered on Angelica and Danny, this book deals a lot with those close to them, therefore we get to see how different relationships influence them individually and as a team. This is the second time in this series that I cried and I have a feeling it won’t be the last. As I read this series, I become more intrigued about this sub-world that lives right beside us. I start to lo Right to Silence is the fourth mind bending enthralling story in the Paranormal Detectives Series. Though this series is centered on Angelica and Danny, this book deals a lot with those close to them, therefore we get to see how different relationships influence them individually and as a team. This is the second time in this series that I cried and I have a feeling it won’t be the last. As I read this series, I become more intrigued about this sub-world that lives right beside us. I start to look at the people walking on the street a little differently imagining them to be anything other than human. That is what these books have done, gotten into my brain, settled in and I love it. I easily say that this is a four-star book. The backstories of these characters are so well done that it seems to flow effortlessly. I’m sure that was not an easy feat. As I have read this book and hence the series, I come to appreciate the details in these wonderfully detailed pages. I am easily immersed in a story that grips me and one I never want to be finished. Lily is a Paranormal genius. This series is one of the best I have ever read. Can't wait to read the next one. Too bad it is the last one. Maybe one day, Lily will do an encore Paranormal Detective #6??? Awesome book. I'm looking forward to the next book! Love the character s and I cannot wait to see who kills who next. Better and better and darker then I could've ever imagined. I'm off to fuel my PDS addiction with book 5, wish me luck! In the first half of this book we learn more about the past-life and present-life history between Brighton and Mark. I quite enjoyed reading how the two originally met and how their souls found each other a second time. Chapter seven was a highlight for me. I really enjoyed the Brighton & “brother” reunion. The second half of the book picks up where Life Sentence finished. We catch back up with Danny and the PID, see an ancient vampiric prophecy come to light and lose way too many supporting In the first half of this book we learn more about the past-life and present-life history between Brighton and Mark. I quite enjoyed reading how the two originally met and how their souls found each other a second time. Chapter seven was a highlight for me. I really enjoyed the Brighton & “brother” reunion. The second half of the book picks up where Life Sentence finished. We catch back up with Danny and the PID, see an ancient vampiric prophecy come to light and lose way too many supporting characters. Danny and Angelica spend a lot of the pages questioning each other and themselves, but that all seems to be settled by the end and the book finishes with the characters closer than ever. Time Jumps: While some readers might find the time jumps in the story rather abrupt, I’m extremely impatient so the approach suited me and I found they really pushed the pace of the story along. Loose Ends: I can’t help but thinking what’s to stop Leander from being resurrected, but that is just the pessimist in me. Cliff-hanger: New unknown male villain introduced right at the end – seriously on the last page! Mature Audiences Only: Right To Silence is a fast paced paranormal-horror-action-romance where everybody swears like sailors and gets slaughtered. But even amid all the violence and revenge seeking, the power of love, loyalty and friendship shine through. Ms. Luchesi has did it again. Wrote a story that will pull you in and keep you on the edge of your seat. I loved that we got to learn more about the secondary characters. It starts out learning about the past of Brighton and Mark. This also leads to learning more about the vampire hunters of the past. This was a tragic and loving story. We get more of Danny and Angelica also. I have read all of the books in this series and feel like the characters are friends. In this book I wanted to shake Danny Ms. Luchesi has did it again. Wrote a story that will pull you in and keep you on the edge of your seat. I loved that we got to learn more about the secondary characters. It starts out learning about the past of Brighton and Mark. This also leads to learning more about the vampire hunters of the past. This was a tragic and loving story. We get more of Danny and Angelica also. I have read all of the books in this series and feel like the characters are friends. In this book I wanted to shake Danny for some of the decisions he makes. As we learn more about the secondary characters there are some new characters brought into the story. As the PID is trying to find out what Leander Price wants with Angelica she struggles with her new life. There is plenty of action and angst in this story. This story is more gritty, full of angst and way more intense that the past PID books. However we see more of a personal side to the secondary characters and the main characters. This was a book that once I started reading I could not put down. It was full of twists that I did not see coming and some that had me saying what the he..... As we see torture, death, gore, fighting and so much action we see the past and the future. Ms. Luchesi does a phenomenal job of writing a paranormal story that pulls you into an imaginary world that seems so read. I voluntarily read an advanced copy of this book for Nerd Girl. Another great book in the Paranormal Detectives series. This one is a book of two halves, so you get two amazing stories for the price of one! The first half follows Brighton and Mark's relationship through both lives, past and present, and is an emotional story, with a heartbreaking ending. The second half picks up where Life Sentence left off, with Angelica still 'missing' and Danny trying to make a life away from her and the P.I.D. Add in multiple murders, a kidnapping, an ancient prophecy and s Another great book in the Paranormal Detectives series. The second half picks up where Life Sentence left off, with Angelica still 'missing' and Danny trying to make a life away from her and the P.I.D. Add in multiple murders, a kidnapping, an ancient prophecy and some trips into hell and you have a book filled with action and surprising twists. Book 4 in the series and this time we find out the history between Mark and Brighton as well as continuing the story where the previous book ended. There is a lot going on in this book, ranging from sweet to truly horrific. The pace increases as it progresses until the shocking final chapter. The epilogue drops back down and leaves a cliffhanger. I enjoyed the story, though I'm not sure I was meant to dislike one of the characters as much as I did, and I was satisfied by the outcome Hell is Coming! I enjoyed the story, though I'm not sure I was meant to dislike one of the characters as much as I did, and I was satisfied by the outcome in the main. Collateral damage is to be expected in the paranormal world. This is the 4th book in this series and it was great! 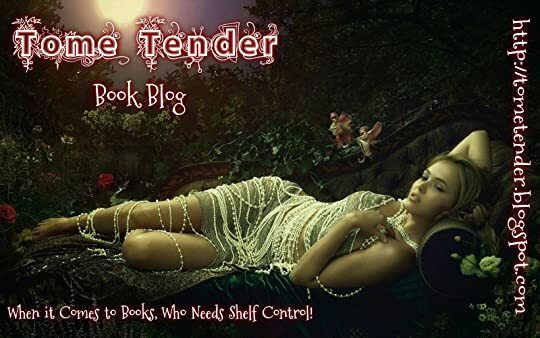 There is so much going on in these books that you will not want to put them down. I love how Luchesi actually tells you the past and the present of the characters. She does such a great job that keeps you interested and your not at all bore with the book. This book is full of action from the beginning and it never slows down!